Bieber collection total has 10 different mannequins to choose from. You can also change the position and color of your thoughts on your arms or head to suit different display concepts of your brand or store. 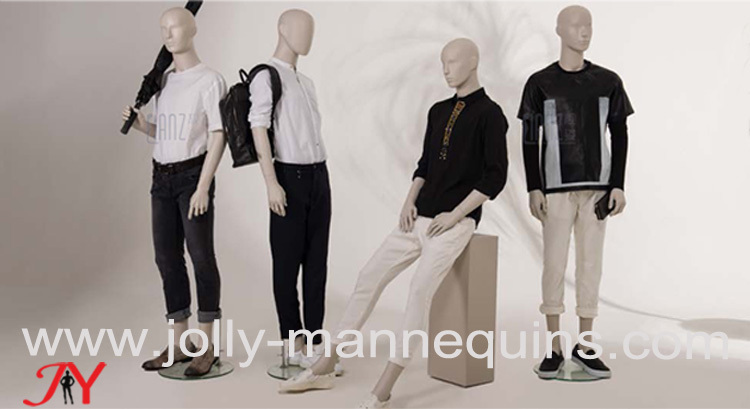 Jolly mannequins offers customized services. 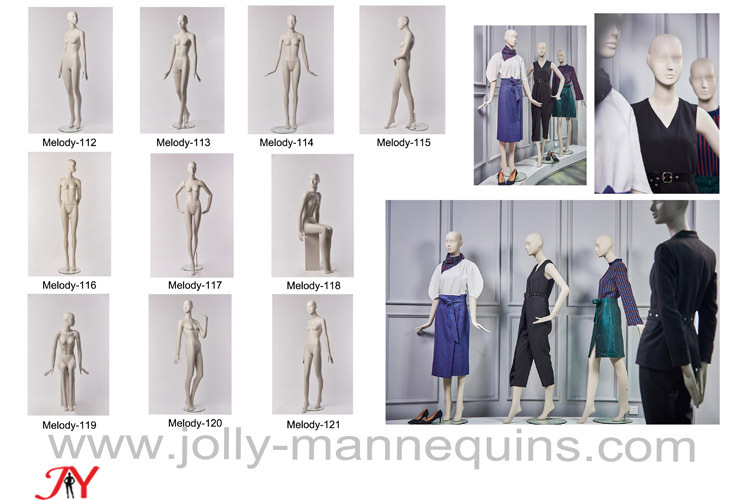 our Melody collection totall has total 20 different mannequins poses for your choice. With the 20 poses, you could also have your ideas on the arms or the heads positions change for different display concept of your brand or your stores. MOQ: 10pcs/model Custom color service is supplied. LuLu-FR abstract female sports mannequin is lean and mean. Her muscles are rippling as she takes that jog down the track. This gorgeous female sports mannequin comes in a matte white that is very popular right now. The LuLu-FR is great for athletic or leisure wear. Put her in some sweat-wicking clothing or just a t-shirt and shorts, and she will look stunning. This gorgeous headless female sports running mannequin comes in a matte grey that is very popular right now. The LULU-FR2 is great for athletic or leisure wear. Put her in some sweat-wicking clothing or just a t-shirt and shorts, and she will look stunning.This female sports mannequin is lean and mean. Her muscles are rippling as she takes that jog down the track.